This month we are introducing our latest addition to the Windham Weaponry product line in the popular 7.62x39mm caliber. We are shipping now – both complete rifles in the SRC configuration and 7.62x39m cal. Upper Assemblies”. Keep checking our website for new items this fall! What is the Special Build Program ? Our Special Build Program allows you to order through your local FFL Dealer a uniquely configured rifle from the factory to suit your individual taste and shooting style. 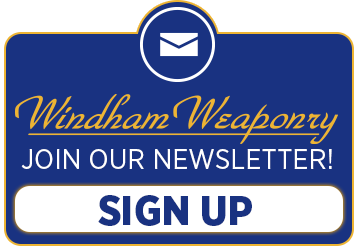 Most Windham Weaponry rifle models can be ordered with a wide variety of our Windham Weaponry accessories custom installed by our professional Gunsmiths. First choose the rifle and list of accessories we offer that you would like installed on your rifle. Then visit your local FFL gun dealer and ask them to call us for pricing. The dealer will order the rifle, we will build it and ship directly to your dealer. If you have any questions about parts compatibility please give us call. I have had my SRC for a year and a half, and I love it. I have changed out the hand guard and gas block and have added a muzzle brake, Eotech optics, NcStar laser/light, and Magpul grip and backup sights, but the core components have been working great with over 2000 rounds put through her. I am looking to upgrade the trigger with the drop in model on your website. You can view my videos shooting the weapon at youtube.com, and you can find the videos on my channel under the username dolfinsphan. The first pic is the day I got her, and I know, I know, bad trigger etiquette, but I know better now, and I have learned a lot more over the past 19 months. Thanks Windham Weaponry!! Hello, this is Joe from Kentucky. I am a Law Enforcement officer from Kentucky, and I recently purchased the WW 20 inch Govt rifle, as my personal rifle. Yesterday, 7/21/2014, myself and a fellow Law Enforcement officer, who shoots a Colt 20 inch Govt rifle went to the range. Out of the box I zeroed my WW rife in at 50 yards with nine rounds. We shot approximately 500 rounds in our rifles, and I had Zero malfunctions, I used several different magazines and shot an assortment of different ammo. The WW shot flawlessly. The WW 20 inch Govt rifle is an outstanding product, Thanks. PS. My friend’s Colt previously had two malfunctions, (failure to feed). ARK Defense’s Enhanced SOPMOD Buttstock features a contoured shoulder rest for multiple shooting positions and a snag resistant shielded release lever. Quick Release Sling Swivels can be attached to either side, and a comfortable shoulder pad provides positive non-slip contact surface. Two Battery/Cleaning Kit storage compartments measure 25/32″ diameter X 5 1/2″ deep. A patent pending attachment method provides smooth, rattle-free action and proper fit to receiver tubes. Constructed of US DOD approved MIL-SPEC material with stainless steel internal components – weight is 12 oz. It fits commercial extension tubes. Made in the USA. I was able to attend the Connecticut SWAT Challenge in August and I have to say it was a great event. I was able to meet so many officers from all over New England. I would like to say “Thank You” to all of you that came by the booth to say hello. August was a great month for Law Enforcement Sales here at Windham Weaponry. The sales promotion for Individual Officers was a huge success. I have been contacted by so many asking if one could make a purchase for September and receive the discount. So I’m going to extend the $50 discount. For the entire month of September, I will be taking $50 off any rifle purchased under my Individual Officer Program. With the introduction of the 18″ fluted barrel for the .308, and the 7.62×39, this will give everyone a chance to take advantage of the special pricing. 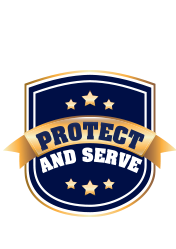 To qualify for the program and the added discount, you must be active or retired Law Enforcement or Military. I will also provide FREE shipping to your FFL anywhere in the continental United States. To view my rifles please visit the website at www.windhamweaponry.com/le/weapons.asp#axzz38yWfyqpl and if you don’t see what you want, please let us know and we’ll see if we can custom build it for you. Here is a look at the NEW 7.62×39 – Contact us at the above email for pricing. Roger started working for Windham Weaponry in August of 2011 and worked for Bushmaster for 3 years prior to that, all in the Quality Control department. He served in the U.S. Coast Guard and later served in the U.S. Army Reserves for a total of 10 years of service. He was a weapons mechanic (a/k/a Gunsmith) and had two overseas tours, one of which was a tour in Iraq in 2006-2007. He worked at a small arms repair shop repairing every weapon from a 9mm pistol to the Browning 50 cal. machine gun, and many other foreign weapons. After his tour, he felt fortunate to become employed at Bushmaster for 3 years prior to its move, but was extremely thrilled to receive the call from Windham Weaponry to help open the quality department.